AC/DC hit their stride with a sparkling collection of rock 'n' roll heavy metal, keeping everything simple yet finding enough variations and texture to shine. 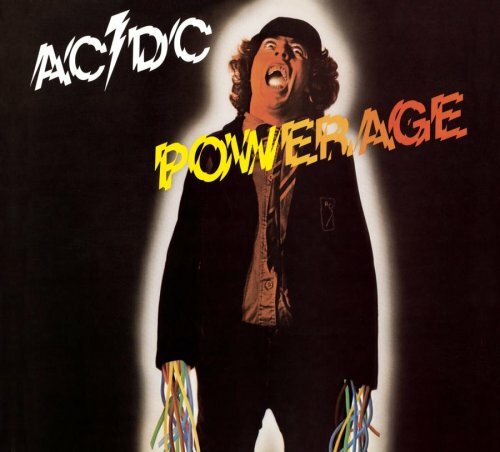 Powerage is the band's fourth international album release, and contains several classics that helped to create the band's legacy. The two best tracks come at the heart of the album. Riff Raff demonstrates a growing maturity to build more deliberately before settling on an infectiously fast riff, Angus Young's guitar ably supported by Phil Rudd's drums in a combination and pace quite capable of bringing down any house. Sin City follows immediately, a change of tempo to a slower but no less sleazier pace, Bon Scott's vocals coming to the fore as he simultaneously recognizes the evils of sin and surrenders to them. Less hectic but just as fun is Gone Shootin', AC/DC riding a simple but insidious riff deep into red neck love story territory. Up To My Neck In You is where all the frantic energy lands, a straightforward rock 'n' roll structure pumped up on jumpy steroids and Scott wailing at the high end of his register. Powerage maintains a core of quality metal throughout, with the lesser tracks still good. It's an album that immediately brightens its surroundings with a surge of non-stop, unpretentious fun-loving power. Produced by Vanda and Young.